Fungi is the kingdom of living organisms that is characterized by lacking chlorophyll, feeding on dead and decaying organic matter, producing spores, and having cells with cell walls that contain chitin. 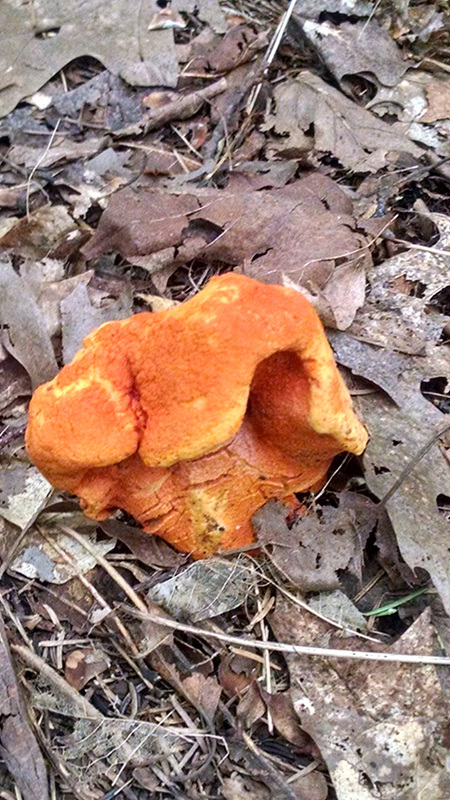 The order includes mushrooms, puffballs, rusts, smuts, sac fungi, molds, yeasts, Penicillium, bread molds, and organisms that cause plant and animal diseases such as athlete’s foot and leaf spot. To date, only two states have declared a state mushroom: Minnesota and Oregon. In 1984, the Minnesota legislature designated the Yellow Morel (Morchella esculenta) as the state mushroom of Minnesota. Recent research based on DNA comparisons have resulted in changes in taxonomic order at all levels, even the highest (fungi are now considered to be closer to animals than plants). As a result, authoritative sources of information about fungi on the Web provide differing binomial names and lineages for the same species. 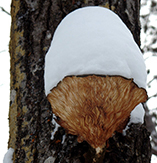 The Integrated Taxonomic Information System (ITIS) on-line database, http://www.itis.gov, avoids this problem by providing only sparse coverage of fungi. If you do not see a linked page for a fungi in the list at left you can still upload a photo or video as an email attachment or report a sighting for that fungi. Click on one of the buttons below and type in the common name and/or scientific name of the fungi in your photo, video, or sighting. A new page will be created for that fungi featuring your contribution. Fungi common names are governed by International Code of Nomenclature for algae, fungi, and plants (ICN). According to the ICN, fungi common names can be either capitalized or not. In Britain fungi common names are governed by The British Mycological Society (BMS). The BMS formed a working party in 2005 to standardize common names of fungi. The project is ongoing, but a current checklist is available on the BMS Website. According to BMS, “the use of capitals for the English name in published texts will be to an extent determined by the publisher.” The BMS checklist uses capitalized common English language names. Most authors today also use capitalized common names for fungi. MinnesotaSeasons.com will adhere to the convention adopted by BMS.